Families choose cremation for a variety of reasons such as environmental, philosophical or religious preferences. Others choose cremation because they feel it is less complicated. No matter the reason, Dulaney Valley Family Service Advisors are here to answer any questions you may have regarding cremation. 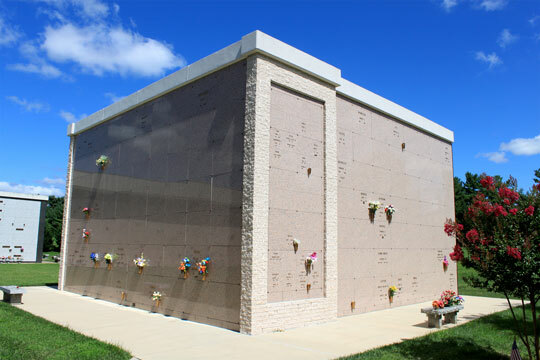 Cremated remains may be interred in the traditional manner in a family site, single grave, or niche within the community mausoleum complex. The mausoleum contains interior glass front niches as well as exterior granite front niches. The cemetery also offers niches in a wall surrounding The Apostles Circle. Families may place cremated remains in a standard size space within a family lot. 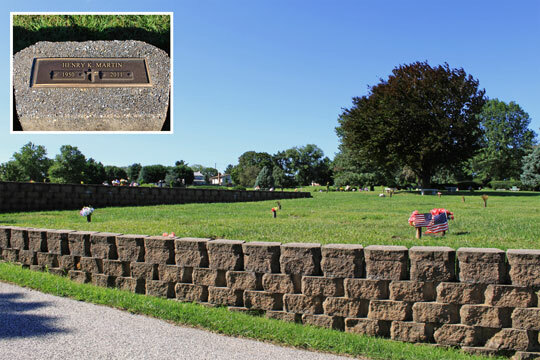 Or, the cemetery has smaller spaces specially designed for cremation only with a bronze marker for personal memorialization. Dulaney Valley has several choices for outside niches. Niches are located in the Eternal Light Feature, Last Supper Feature and in the community mausoleum complex. Niches are built into a wall surrounding the Apostles Circle Lawn Crypt Garden. The Dulaney Valley mausoleum contains elegant niches with clear glass-fronts in a bronze wall unit with faceted, stained glass panels. 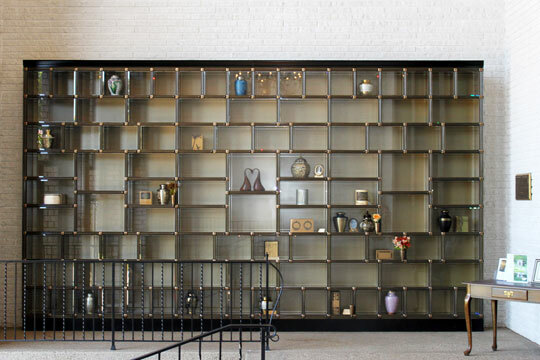 These niches offer families more options for personal memorialization. The family may place personal mementos within designated niches. The glass-front niches afford a family the opportunity to view the urn in the peaceful setting. 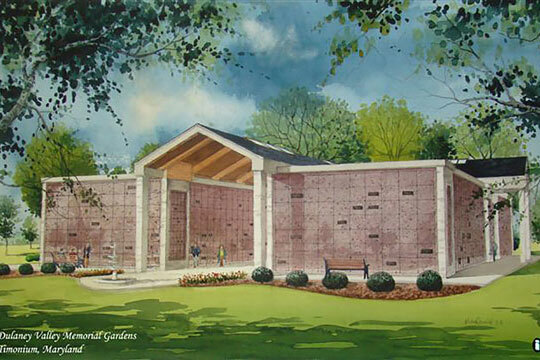 Dulaney Valley Memorial Gardens now offers niches in our pre-constructed Sanctuary Mausoleum at pre-development discounts. Granite cremation benches memorialized with a bronze plaque or sandblasted lettering line the golf course, and around the edge of the two acre Swan Lake. 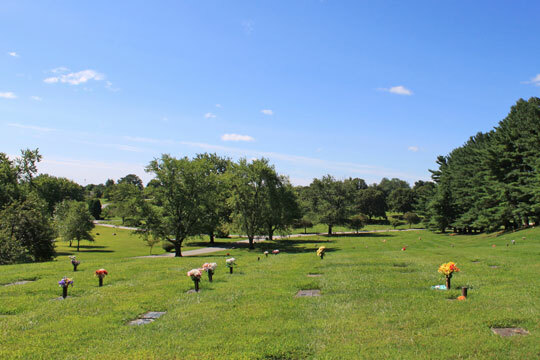 In addition, a few sites are located throughout the cemetery in pre-designated, premium locations. Most benches are designed to hold four sets of cremated remains. Dulaney Valley offers cremation pedestals for holding one to four sets of cremains. 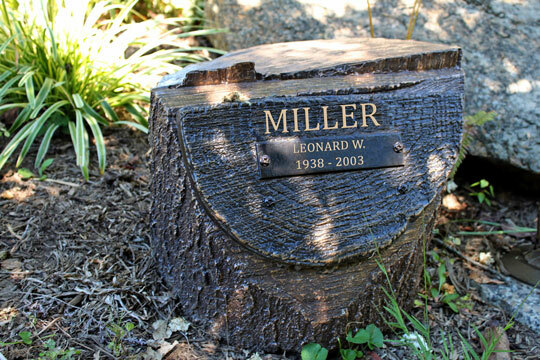 Dulaney Valley offers a bronze "Giving Tree" urn which is a 16" x 12" bronze tree trunk containing a true-to-nature urn. These urns are offered in the newly developed Rose of Sharon Garden, a peaceful cremation garden of Rose of Sharon bushes that border the tranquil stream feeding into Swan Lake. 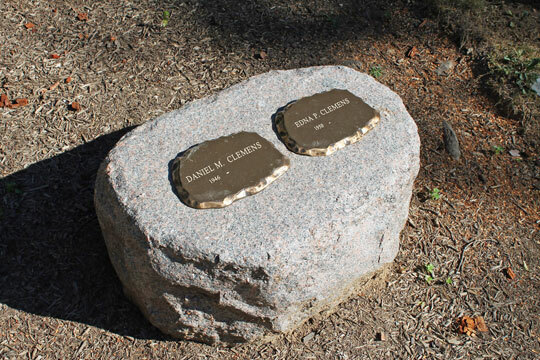 Also located in the Rose of Sharon Cremation Garden, along a tranquil stream with beautiful rose bushes are replicas of rocks with chambers provide a natural way to remember your loved ones while providing attractive landscaping. Each granite boulder is individually hand cut and is unique in shape and form. Urns are available in a wide variety of designs, sizes, and composition: Bronze, Wood, and Cultured Marble. When you choose an urn, you are creating a permanent memorial, one that reflects your character and your personal taste. 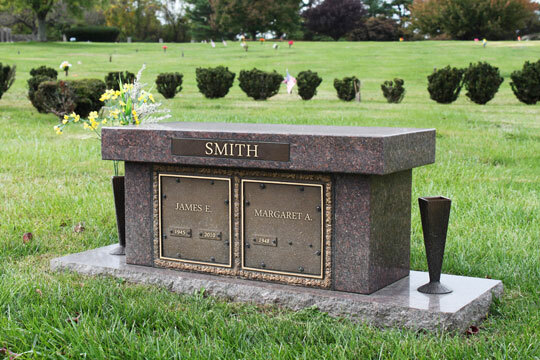 Cremated remains can be buried in a family site, placed in a cremation bench, cremation feature, boulder, mausoleum niche, glass front niche or kept at home in an urn. 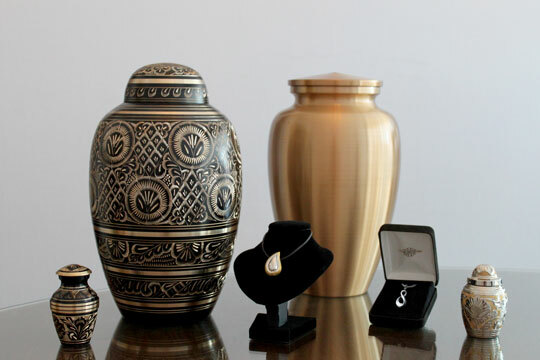 Dulaney Valley is pleased to offer a collection of cremation jewelry to keep your loved one close at heart. 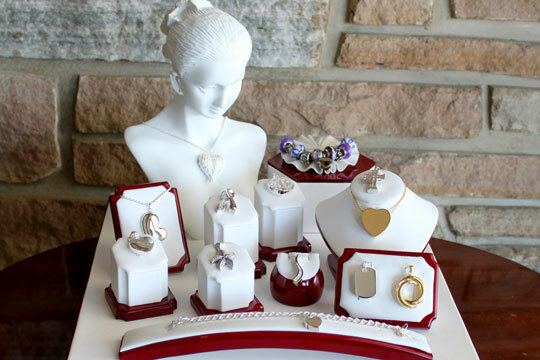 Each unique piece of jewelry is available in sterling silver, gold-plating, yellow or white gold, and almost all include engraving options. A beloved pet can also be memorialized in this way. 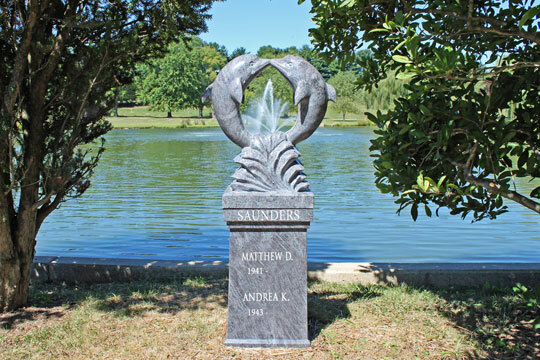 Imagine memorializing your loved one in a stunning work of art. 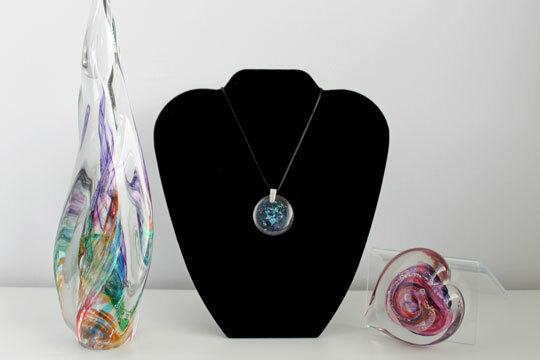 Art Glass is a one of a kind, hand-crafted glass keepsake encapsulating a small amount of cremated remains. Available in several designs and four beautiful color palettes, Art Glass provides a personal keepsake to cherish your loved one at home. For traditional ground placement, the inurnment service fee includes the opening and closing of the grave, greens, tent and chairs. When placing ashes in a cremation product such as a bench, boulder, or tree urn, the fee includes the opening and closing of these items. For cremated remains placed in a marble, granite or glass front niche, the fee includes the removal and replacement of the niche front. The inurnment fee also includes administration fees such as permanent record keeping and documentation.